We play fun games that help boost your baby's confidence, independence and flexibility, and build a strong sense of security and bonding with you: the exact skills a baby or toddler needs so they can learn to sleep well, independently and with positive sleeping vibes to last a lifetime! Time and again we find that building confidence, flexibility, positivity, resilience, kindness to self and others and an optimal sense of bonding and feeling safe and secure are key elements in helping a baby sleep more and better. 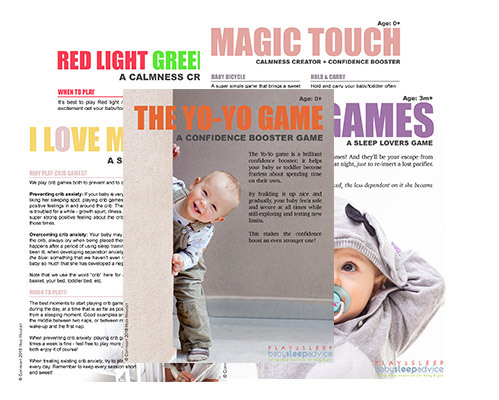 And of course, the games are simply FUN for you and your little boy or girl to do! So they make the whole process of teaching those all important sleeping skills, a super pleasant experience. Play therapy isn't new: it's widely used in all sorts of guidance for children and young adults alike. It's only rarely applied for the very youngest ones though, which I think is a shame. You can get started right away with these 5 Play2Sleep© Games (Free downloads). Enter your email below and you'll receive the games 1 by 1 by email, 5 days in a row. To get started right away: just leave your name and email below and your Play2Sleep© fun can begin! A confirmation will be requested by email just to make sure no one but yourself is trying to subscribe you. Yes we could focus just on reducing the amount of wakings at night, extending nap duration, learning to self-soothe etc. But, adding a few fun & easy games to your daily routines can fast-track you to better, and longer-lasting improved sleep. I've always blended these games in naturally in my 1-to-1 sleep counseling but I'm now bringing these games and activities out for all to play! 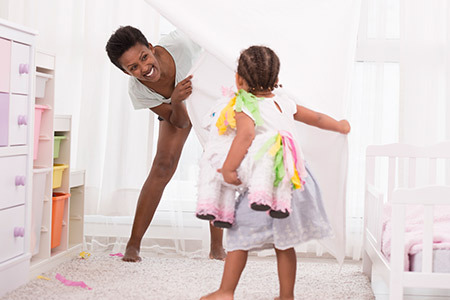 Whether your baby sleeps poorly or brilliantly, the skills you'll boost by playing these well-thought out games are priceless in all areas of your baby's social, emotional and cognitive development. Anyway, I'm so excited for you to get playing: these games are so powerful, and empowering for both you and your baby. Try a few and let me know how it goes! Happy playing!! !